Full Sail Partners is excited to have Rick Childs rejoin the consulting team. I am excited about returning to the Full Sail Partners team of knowledgeable, dedicated professionals and having access to their ever-growing arsenal of client-based solutions. Full Sail Partners, a Deltek Platinum Partner, is excited to announce that Rick Childs has returned to the team as a Senior Consultant. Due to his amazing rapport with clients and ability to solve problems, he was asked to join Petroleum Field Services (now known as Ascent Geomatics Solutions) as Controller back in 2015. Since this firm is now running efficiently, Rick desired the opportunity to be able to service other firms in the same exemplary manner. “Whether working for a single firm as an employee or for multiple firms as a consultant, my goal is always to do what I can to help automate processes and build a foundation to take the firm into the future and prepare for growth. I am excited about returning to the Full Sail Partners team of knowledgeable, dedicated professionals and having access to their ever-growing arsenal of client-based solutions,” stated Rick Childs. 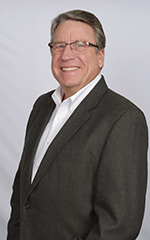 Rick is an experienced consultant having led more than 100 Deltek Vision implementations since 2003. His familiarity with legacy Deltek products has also enabled him to provide client solutions. With this extensive industry knowledge, Rick will be able to jump right back into his role as Senior Consultant addressing the needs of our clients and helping them further leverage their investment in Deltek Vision and Deltek for Professional Services. “Full Sail Partners’ management team is excited to welcome Rick back to the consulting team. Rick adds additional depth and knowledge to our diverse and collaborative consulting team that handles all areas of Deltek Vision and Deltek for Professional Services. I personally know that many of the clients and team members that Rick previously worked with are pleased to hear of his return and looking forward to working with him again,” said Scott Seal, VP of Consulting. Full Sail Partners provides client-focused technology services and solutions for more than 1,000 professional services’ firms nationwide. As a Deltek Platinum Partner, Full Sail Partners helps project-based firms fully integrate their business processes by connecting their front end and backend systems. We seek to help organizations identify the critical resources needed to create a faster, more efficient, and cohesive business infrastructure. Full Sail Partners – Keep Your Business on Course. | For more information, please email Full Sail Partners’ Marketing Communications Department or visit the Full Sail Partners’ website at http://www.fullsailpartners.com.